I haven't even downloaded this and it looks amazing! 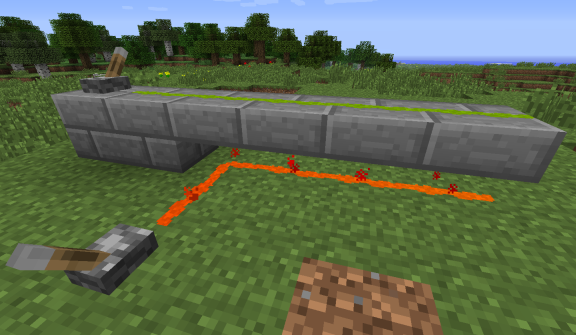 Suggestion: I would make it somehow easier to place the added blocks/redstone. 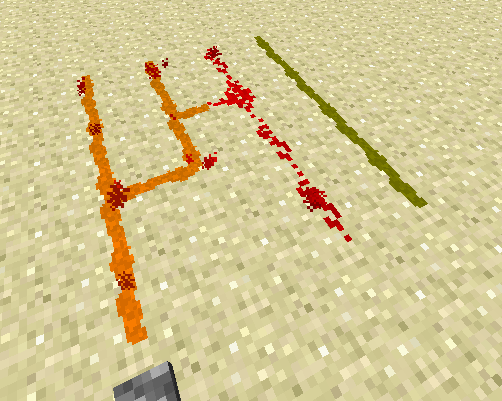 Perhaps something like the effect of using the debug stick from the snapshots of vanilla minecraft to control where redstone dust points etc. Can the creator or a developer make a 1.9.4 version of this mod? Thanks! 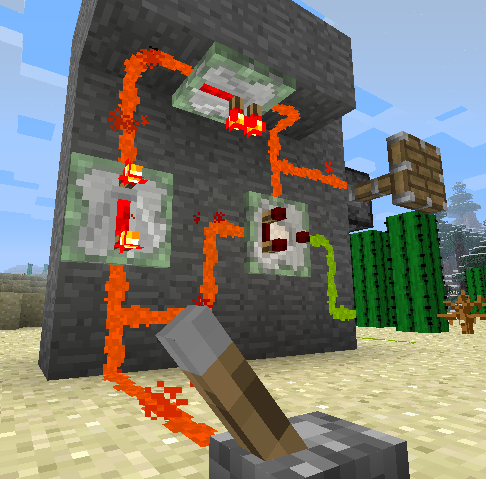 Please add the ability to power blocks, it is essential. This mod have a core? ja es ist auf deutsch! something is wrong with textures, as you can see in the picture. I love this mod, I'd like to make a suggestion as I can't find this. 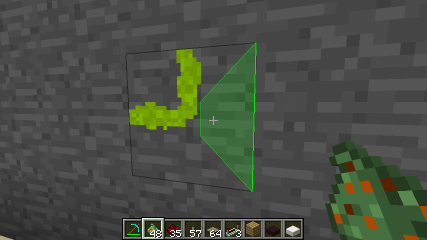 I'd like to see a sticky piston that passes power onto the block attached to it. Why it did't work in minecraft 1.10.2? It can't Charge the block on the wall or on the floor. I notice that this site claims it is updated to 1.10.2, but this is false. The file downloaded is named redstonepaste-mc1.9.4-1.7.4.jar, and does not work either. Please fix description or download link! Wonderful mod, used it in the past. Thank you! EDIT: NOW WORKING-- It just does not work in older versions of Java, was launching in the wrong one. However, the filename is still misleading. Hi, will be your mod for MC 1.9?